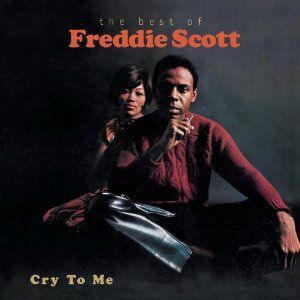 Freddie Scott – But Is It Any Good? WHAT’S IT ALL ABOUT: A collection (partial collection streaming, alas) of Scott’s great soul work for Shout records in 1966 through 1968. SOME WORDS, PHRASES AND CLAUSES ABOUT THIS RECORD: Freddie Scott had a hit in 1963 in Hey, Girl (#10) (no, not the Ryan Gosling theme song) that he wrote with Carole King and Gerry Goffin. He turned from songwriting to performing and had limited success as a crooner on Columbia. Then, he was signed to Bert Berns’ Shout records (a subsidiary of Bang), and started to crank out great soul numbers. Are You Lonely for Me (#39, #1 R&B) has been on some compilations, and the one everyone knows is (You) Got What I Need (#27 R&B) that Biz Markie used / stole / appropriated for Just a Friend. He was on a good career track until Berns died suddenly. He didn’t land on a label at first, then soldiered on for various companies without much success. This collection grabs all of the Shout records singles and good album tracks. The issue is that on both Google Play and Spotify, the collection is expurgated. About 1/3 of the tracks are missing, fortunately none of the ones that are really special. Shortened stream or not, this is worthy to have in any 60’s Soul collection. NOTES & MINUTIAE: This compilation was released on Columbia, who Scott recorded for earlier. I know Shout’s assets went to other companies – could it be Columbia on picked up a handful of the masters from Shout? Who knows? GRADE: B+: Great soul collection downgraded a skosh for being incomplete.